We all scream for ice cream! 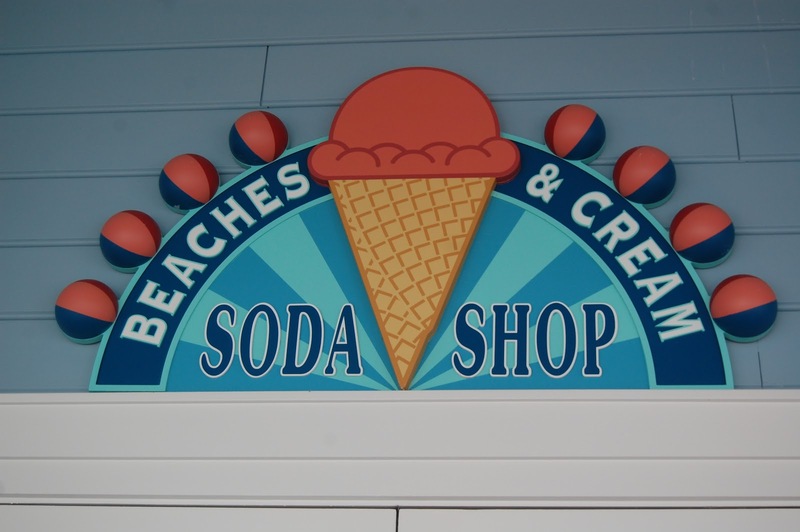 And what better place to enjoy a little ice cream than at Walt Disney World? 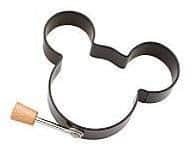 Whether you are in the mood for a classic Mickey ice cream bar, a famous Ghiradelli sundae, or brave enough to take on the challenge of the Kitchen Sink, Disney’s got you covered. 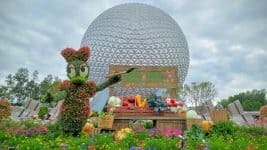 Here’s our favorite ice cream places from the “World”, plus a Goofy at-home twist on a classic Mickey treat. 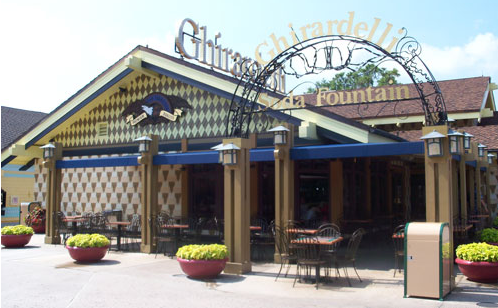 For years, one of our Disney traditions was stopping at Ghirardelli’s in Downtown Disney for some ice cream. My choice was always the classic Hot Fudge Sundae with vanilla ice cream. Lisa’s a chocolate lover, and suggests the Espresso Escape: two scoops of espresso chip ice cream, dark chocolate hot fudge sauce, whipped cream and a square of Epresso Escape Intense Dark chocolate. It’s a chocolate lover’s dream. 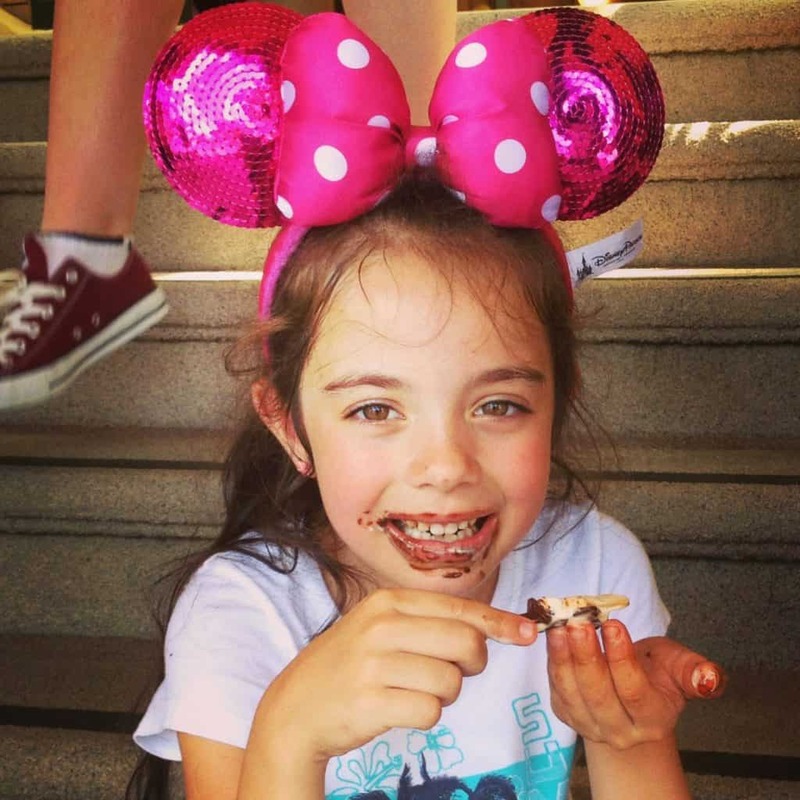 Or you could keep it simple with chocolate ice cream and sprinkles like Bella did on her first visit to Ghirardelli’s. Another great place to get some ice cream is at Beaches and Cream Soda Shop at the Beach Club Resort. 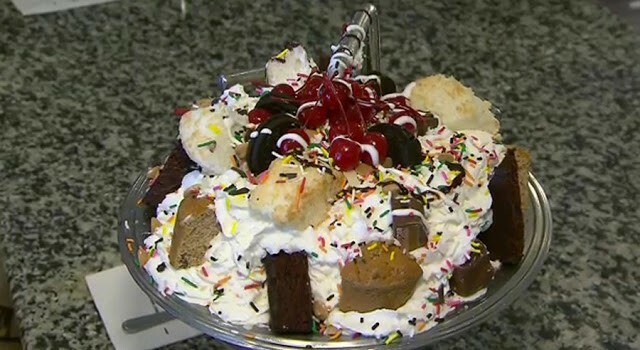 This little parlor serves up a variety of creations, including the outrageous Kitchen Sink. They call it that for two reasons. First, it’s got everything in it: 8 scoops of ice cream, a whole can of whipped cream, and every topping they can find. The second reason for the name? It is served to you in a kitchen sink. 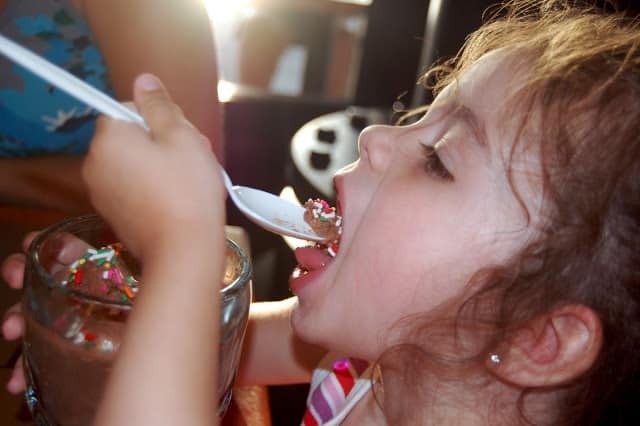 The kitchen sink was a tall order for our small family on our first visit to Beaches and Cream last year. Instead, we opted for the smaller, but equally delicious, “No Way Jose” sundae. 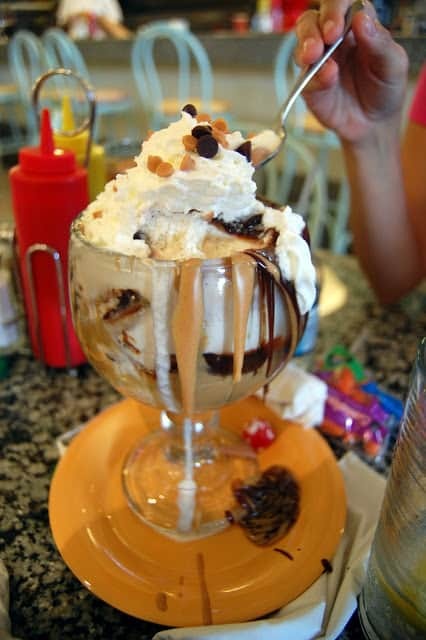 The “No Way Jose” Sundae, one of our 10 Best Snacks! Chocolate and vanilla ice cream, peanut butter and hot fudge sauces, peanut butter and chocolate chips, topped with whipped cream and a cherry. It was soooo good! I highly recommend it! And if someone near you orders the kitchen sink, it will make this large sundae feel very small in comparison, so you can feel a little better for indulging. Who says ice cream is only for dessert? At the Supercalifragilistic Breakfast at 1900 Park Fare, Edy’s soft serve ice cream is on the menu. 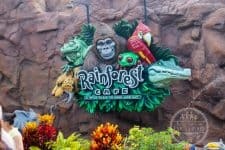 I couldn’t help but partake when we had breakfast there years ago. 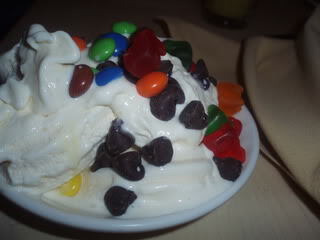 The ice cream is available in vanilla or chocolate flavors with some assorted toppings. We recently ate there for dinner, and I was disappointed that the ice cream station was not working. 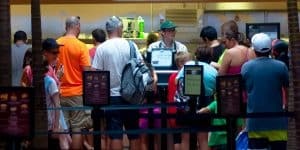 Hopefully, it will be working the next time we eat there. For this week’s twist, we took a Disney classic and took it to the next level. 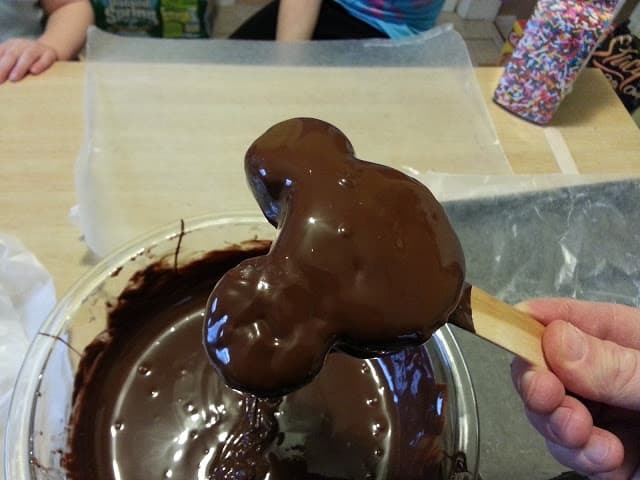 The idea started innocently enough, with Lisa asking if there was anywhere we could buy Mickey ice cream bars for our son’s birthday party next month. Why can’t we make our own? I asked. 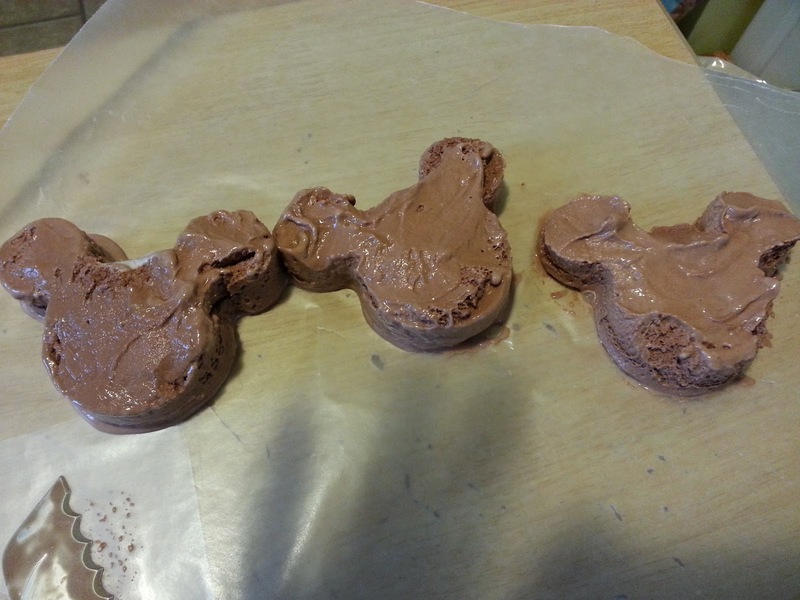 So this morning, I dug out the Mickey head cookie cutter from the pantry. I figured I could use this to shape the ice cream. I did a little research on making your own ice cream bars to see what techniques people have used. One that intrigued me was cutting the ice cream into sheets while it was still in the carton. Then I could use the cookie cutter to cut out my shape from each sheet. 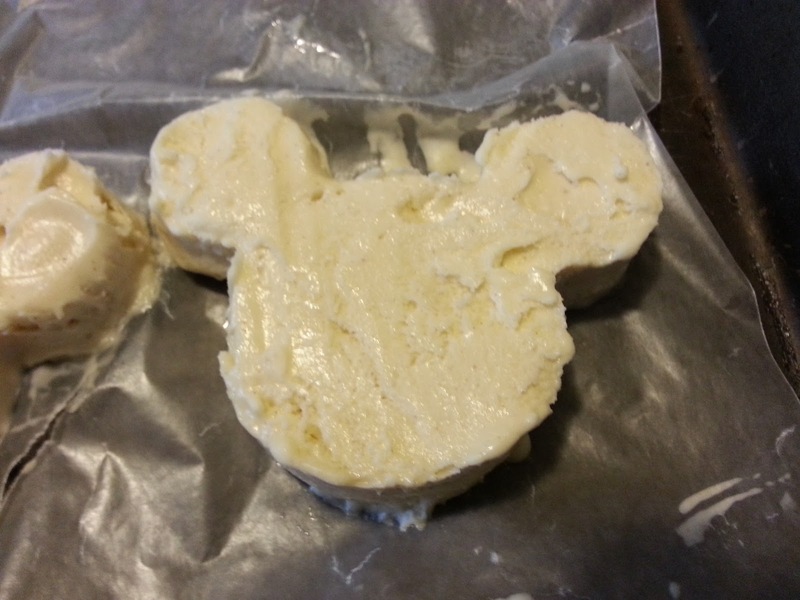 One of the great things about making your own Mickey bars is that you can choose whatever ice cream you want. I went with vanilla and chocolate. This sounds boring now… but we’ll jazz it up in a bit. Throughout the entire process, it was important to keep the ice cream frozen. Whenever I was not working with it, it went back into the freezer. While the ice cream Mickey heads were getting chilled, I used the microwave to melt down a bag of chocolate chips with a little bit of vegetable oil. Here’s another part you can customize to your taste. I chose dark chocolate chips for our bars. 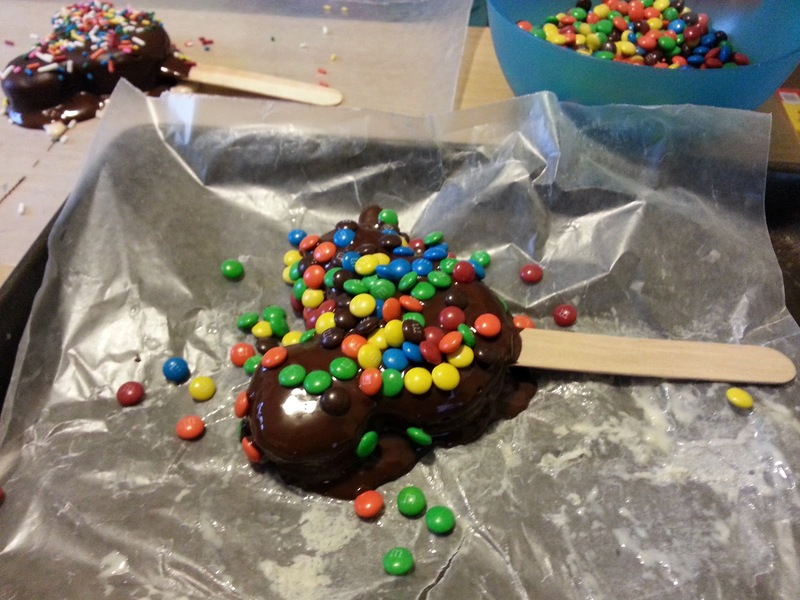 Once the chocolate was melted, I pulled out the ice cream heads, inserted a Popsicle stick, and dipped it into the chocolate. ** Make sure your chocolate is not hot! If the chocolate is too hot, it will melt the ice cream. 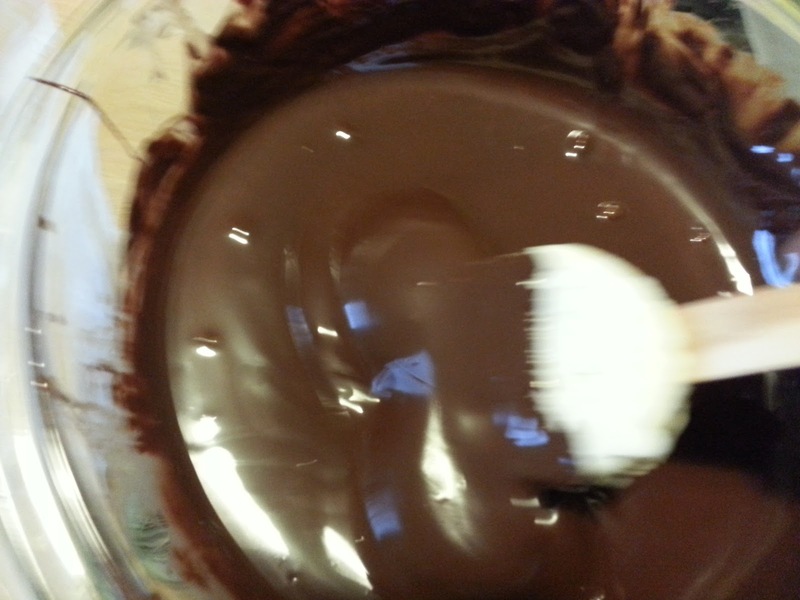 Melting the chocolate in short increments of 30 seconds in the microwave will help. Once you remove, you can let it cool a bit to be more room temperature. 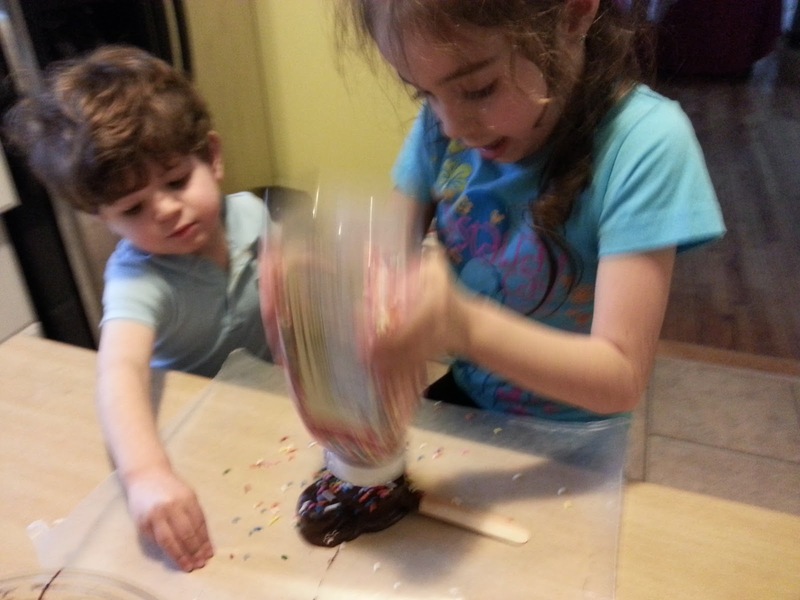 Bella was doing a great job of sprinkling the Mickey bar, while Jackson was in charge of cleaning up the extra sprinkles. The bars went back into the freezer so the chocolate could set. Here’s the finished product. What do you think? It’s a little bit of work, but I think the ability to customize your Mickey bar makes it worth the effort. 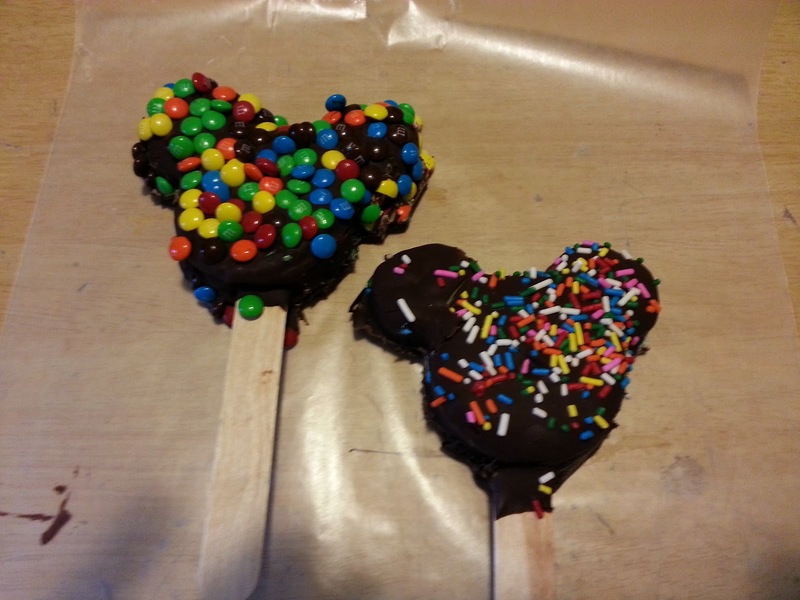 This can be a great addition to any Disney themed party, or just as a great afternoon treat for the family to enjoy! What toppings would you want on your Mickey ice cream bar? What flavor ice cream would you use?